Widower, Arthur Pepper, decides to clear out his late wife’s belongings a year after her death and comes across a gold charm bracelet that he cannot recall ever seeing before. Curiosity over the bracelet and the belief that it was not something he could see his wife owning and wearing, takes him on a journey of discovery about his wife spanning from India, London, France and has him questioning if he ever really knew the person he was married to. This easy to read novel doesn’t take long to draw you in and keep you tuned in to learn the truth about the past of a woman who although deceased, still means a lot to the family she has left behind. As her past unfolds, feelings of inadequacy arise, from the man who lived with her for forty years as he knew nothing about her travels and experiences. Tackling his late wife’s past gives Arthur Pepper a purpose and draws him out of the limited one dimensional existence he has inhabited for the past year and makes him take a long hard look at himself and his children who seem distanced particularly since the death of their mother. This book will be published on 7th April 2016, but is available for pre-order from Amazon. There’s no free sample availabe, as the book isn’t out yet. But if you rummage around a bit:presto! 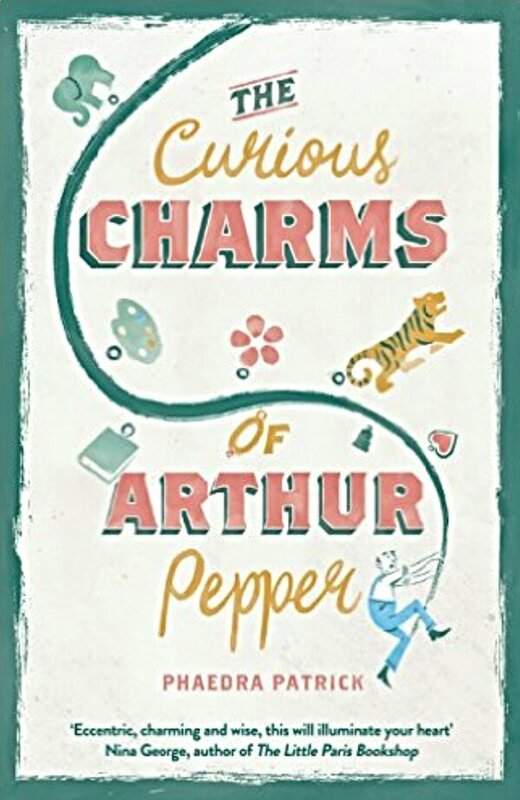 this link: http://www.amazon.co.uk/The-Curious-Charms-Arthur-Pepper-ebook/dp/B01D7FGBRU/ref=pd_sim_351_4?ie=UTF8&dpID=51fJY81JFcL&dpSrc=sims&preST=_OU02_AC_UL160_SR101%2C160_&refRID=1YBC9STVSA3MMXD103M4 takes you to where you can buy an extract for free. Complicated, innit? But handy all the same if, like me, you are an inveterate sampler. Thanks for reading my review, I hope you enjoy the book at least as much as I did.